Diabetic eye disease is a group of eye conditions that can affect people with diabetes. Diabetic retinopathy affects blood vessels in the light-sensitive tissue called the retina that lines the back of the eye. 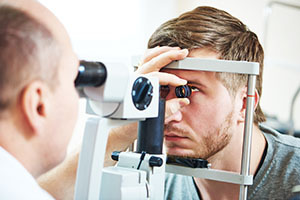 It is the most common cause of vision loss among people with diabetes and the leading cause of vision impairment and blindness among working-age adults. Diabetic macular oedema (DME) is swelling in an area of the retina called the macula. Cataract is a clouding of the eye’s lens. Adults with diabetes are 2-5 times more likely than those without diabetes to develop the cataract. Cataract also tends to develop at an earlier age in people with diabetes. 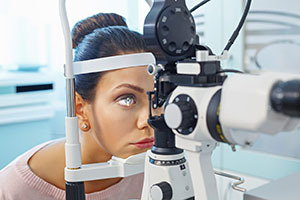 Glaucoma is a group of diseases that damage the eye’s optic nerve; the bundle of nerve fibres that connects the eye to the brain. Some types of glaucoma are associated with elevated pressure inside the eye. In adults, diabetes nearly doubles the risk of glaucoma. All forms of diabetic eye disease have the potential to cause severe vision loss and blindness. As the disease progresses, blood vessels that nourish the retina may swell and distort. They may also lose their ability to transport blood. Both conditions cause characteristic changes to the appearance of the retina and may contribute to DME. Many more blood vessels are blocked, depriving blood supply to areas of the retina. These areas secrete growth factors that signal the retina to grow new blood vessels. At this advanced stage, growth factors secreted by the retina trigger the proliferation of new blood vessels, which grow along the inside surface of the retina and into the vitreous gel, the fluid that fills the eye. The new blood vessels are fragile, which makes them more likely to leak and bleed. Accompanying scar tissue can contract and cause retinal detachment; the pulling away of the retina from the underlying tissue, like wallpaper peeling away from a wall. Retinal detachment can lead to permanent vision loss. Who are at risk for diabetic eye disease? People with all types of diabetes (type 1, type 2, and gestational) are at risk for diabetic retinopathy. Risk increases the longer a person has diabetes. Between 40 and 45% of people diagnosed with diabetes have some stage of diabetic retinopathy, although only about half are aware of it. Women who develop or have diabetes during pregnancy may have rapid onset or worsening of diabetic retinopathy. Visual acuity testing: This eye chart test measures a person’s ability to see at various distances. Tonometry: This test measures pressure inside the eye. Pupil dilation: Drops placed on the eye’s surface dilate (widen) the pupil, allowing a physician to examine the retina and optic nerve. Optical coherence tomography (OCT): This eye scan is similar to an ultrasound but uses light waves instead of sound waves to capture images of tissues inside the eye. OCT provides incredibly detailed images of the retina and optic nerve to highlight any microscopic damage that may not be seen by the naked eye. Leaking blood vessels or warning signs of leaky blood vessels, such as fatty deposits. Swelling of the macula (DME). Vision lost to diabetic retinopathy is sometimes irreversible. However, early detection and treatment can reduce the risk of blindness by 95 %. Diabetic retinopathy often lacks early symptoms, people with diabetes should get a comprehensive dilated eye exam at least once a year. 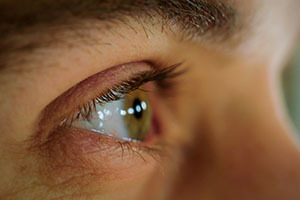 People with diabetic retinopathy may need eye exams more frequently. Women with diabetes who become pregnant should have a comprehensive dilated eye exam as soon as possible. Additional exams during pregnancy may be needed. What is diabetic macular oedema (DME)? DME is the buildup of fluid (oedema) in a region of the retina called the macula. The macula is important for the sharp, central vision that is used for reading, recognizing faces, and driving. DME is the most common cause of vision loss among people with diabetic retinopathy. About half of all people with diabetic retinopathy will develop DME. People at higher risk of developing this condition have high blood sugar levels, high cholesterol and high blood pressures. Although it is more likely to occur as diabetic retinopathy worsens, DME can happen at any stage of the disease. Blotches or spots in vision. Flashes of light in the field of vision. DME can be treated with several therapies that may be used alone or in combination. Primary management requires good control of diabetes itself. Anti-VEGF Injection Therapy (Eylea, Lucentis, Avastin). Anti-VEGF drugs are injected into the vitreous gel to block a protein called vascular endothelial growth factor (VEGF), which can stimulate abnormal blood vessels to grow and leak fluid. Blocking VEGF can reverse abnormal blood vessel growth and decrease fluid in the retina. Available anti-VEGF drugs include Avastin (bevacizumab), Lucentis (ranibizumab), and Eylea (aflibercept). Lucentis and Eylea are approved by the U.S. Food and Drug Administration (FDA) for treating DME. Avastin was approved by the FDA to treat cancer but is commonly used to treat eye conditions, including DME. The Diabetic Retinopathy Clinical Research Network compared Avastin, Lucentis, and Eylea in a clinical trial. The study found all three drugs to be safe and effective for treating most people with DME. Patients who started the trial with 20/40 or better vision experienced similar improvements in vision no matter which of the three drugs they were given. However, patients who started the trial with 20/50 or worse vision had greater improvements in vision with Eylea. Most people require monthly anti-VEGF injections for the first six months of treatment. Thereafter, injections are needed less often; typically three to four during the second six months of treatment, about four during the second year of treatment, two in the third year, one in the fourth year, and none in the fifth year. Dilated eye exams may be needed less often as the disease stabilizes. 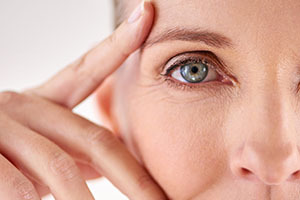 Avastin, Lucentis, and Eylea vary in cost and in how often they need to be injected, so patients may wish to discuss these issues with an eye care professional. Involves a few to hundreds of small laser burns are made to leaking blood vessels in areas of oedema near the centre of the macula. Laser burns for DME slow the leakage of fluid, reducing swelling in the retina. The procedure is usually completed in one session, but some people may need more than one treatment. Focal/grid laser is sometimes applied before anti-VEGF injections, sometimes on the same day or a few days after an anti-VEGF injection, and sometimes only when DME fails to improve adequately after six months of anti-VEGF therapy. 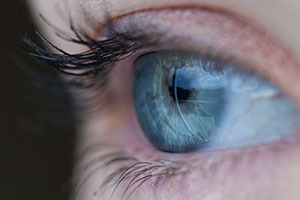 Corticosteroids, either injected or implanted into the eye, may be used alone or in combination with other drugs or laser surgery to treat DME. The Ozurdex (dexamethasone) implant is for short-term use, while the Iluvien (fluocinolone acetonide) implant is longer lasting. Both are biodegradable and release a sustained dose of corticosteroids to suppress DME. Corticosteroid use in the eye increases the risk of cataract and glaucoma. DME patients who use corticosteroids should be monitored for increased pressure in the eye and glaucoma. Involves removing the inflammatory factors and membranes with the vitreous gel from the back of the eye to resolve the swelling in the macula. For decades, PDR has been treated with scatter laser surgery, sometimes called panretinal laser surgery or panretinal photocoagulation. Treatment involves making 1,000 to 2,000 tiny laser burns in areas of the retina away from the macula. These laser burns are intended to cause abnormal blood vessels to shrink. Although treatment can be completed in one session, two or more sessions are sometimes required. While it can preserve central vision, scatter laser surgery may cause some loss of side (peripheral), colour, and night vision. Scatter laser surgery works best before new, fragile blood vessels have started to bleed. Recent studies have shown that anti-VEGF treatment not only is effective for treating DME but is also effective for slowing progression of diabetic retinopathy, including PDR, so anti-VEGF is increasingly used as a first-line treatment for PDR. A vitrectomy is the surgical removal of the vitreous gel in the centre of the eye. The procedure is used to treat severe bleeding into the vitreous and is performed under local or general anaesthesia. Ports (temporary watertight openings) are placed in the eye to allow the surgeon to insert and remove instruments, such as a tiny light or a small vacuum called a vitrector. A clear salt solution is gently pumped into the eye through one of the ports to maintain eye pressure during surgery and to replace the removed vitreous. The same instruments used during vitrectomy also may be used to remove scar tissue or to repair a detached retina. Vitrectomy may be performed as an outpatient procedure or as an inpatient procedure, usually requiring a single overnight stay in the hospital. After treatment, the eye may be covered with a patch for days to weeks and may be red and sore. Drops may be applied to the eye to reduce inflammation and the risk of infection. If both eyes require a vitrectomy, the second eye usually will be treated after the first eye has recovered. A retinal vein occlusion is a blockage of any of the major veins in the eye is referred to as a Retinal Vein Occlusion (RVO). The blockage results in bleeding and leaking of vessel fluids into the eye causing blurred vision, floaters, pain and tension in the eye. Central retinal vein occlusion which involves the main vein in the eye. Branch retinal vein occlusion which involves smaller branch veins is the most common type. Who is at risk of getting a Retinal Vein Occlusion? Patients over the age of 40. How is a Retinal Vein Occlusion treated? 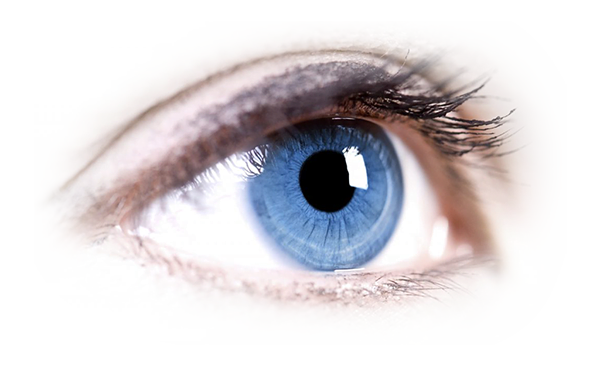 The ophthalmologist performs a thorough examination of your eye to determine the extent and severity of the vein occlusion and discuss the treatment option with you. The investigations include a dilated pupil examination, Optical eye scanning (OCT test), a Fluorescein angiography and blood tests (sugar, cholesterol, clotting disorders). Anti-VEGF drugs are injected into the vitreous gel to block a protein called vascular endothelial growth factor (VEGF), which can stimulate abnormal blood vessels to grow and leak fluid. Blocking VEGF can reverse abnormal blood vessel growth and decrease fluid in the retina. Available anti-VEGF drugs include Avastin (bevacizumab), Lucentis (ranibizumab), and Eylea (aflibercept). Lucentis and Eylea are approved by the U.S. Food and Drug Administration (FDA) for treating DME. Avastin was approved by the FDA to treat cancer but is commonly used to treat eye conditions, including DME. The Diabetic Retinopathy Clinical Research Network compared Avastin, Lucentis, and Eylea in a clinical trial. The study found all three drugs to be safe and effective for treating most people with DME. Patients who started the trial with 20/40 or better vision experienced similar improvements in vision no matter which of the three drugs they were given. However, patients who started the trial with 20/50 or worse vision had greater improvements in vision with Eylea. Most people require monthly anti-VEGF injections for the first six months of treatment. Thereafter, injections are needed less often, typically three to four during the second six months of treatment, about four during the second year of treatment, two in the third year, one in the fourth year, and none in the fifth year. 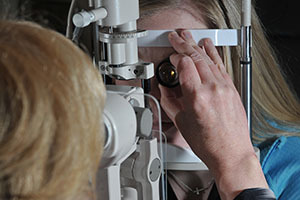 Dilated eye exams may be needed less often as the disease stabilizes. Avastin, Lucentis, and Eylea vary in cost and in how often they need to be injected, so patients may wish to discuss these issues with an eye care professional.